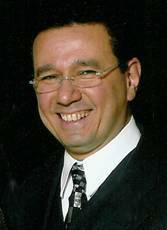 Dr. El-Hakim graduated from Ain Shams University in Cairo (MB, ChB 1986), Egypt. His higher surgical training was completed in the United Kingdom (CCST in Otolaryngology 2001). He is a fellow of The Royal College of Surgeons of Edinburgh (FRCSEd 1994) and obtained also the Intercollegiate Board Examination in Otolaryngology (FRCS-ORL 1999). Dr. El-Hakim’s Fellowship training in Pediatric Otolaryngology was at The Hospital for Sick Children in Toronto from July 1999 -June 2001. He has been in his current post since June 2002. He is an Associate Clinical Professor in the Departments of Surgery at the University of Alberta. He is also the Pediatric Otolaryngology Fellowship Program Director, the Research Director for the Division of Otolaryngology at the University of Alberta, and the Associate Editor for Pediatric and General Otolaryngology at the Canadian Journal of Otolaryngology Head & Neck Surgery. He has numerous peer-reviewed publications, and his research interests span pediatric and neonatal laryngeal paralysis, sleep disordered breathing, swallowing dysfunction, and impairment of saliva control. He is the primary pediatric airway surgeon at the stollery Children's Hospital.